VSS Unity, Virgin Galactic’s second incarnation of SpaceShipTwo. British billionaire Richard Branson says Virgin Galactic—after years of promises and delays—is just weeks away from conducting its first suborbital test flight. Speaking to CNBC, Branson said the company will be in space “within weeks and not months,” adding that Virgin Galactic is “more than tantalizingly close” to conducting its first suborbital test flight. The next step for the aspiring space tourism firm is get its newly revamped SpaceShipTwo spaceplane to burn its rockets for a prolonged period, allowing the craft to travel faster than before and reach a peak altitude of about 68 miles (110 kilometers). At full tilt, VSS Unity—the latest instantiation of SpaceShipTwo—should reach speeds in excess of 2,500 miles per hour (4,000 km/hr or mach 3.2). The entire flight should take around 2.5 hours, though only a few minutes will actually be spent in suborbital space. The space tourism industry appears to be heating up, though it’s hard to describe something that technically doesn’t yet exist as “heating up.” To date, no private company has delivered on its promise to send tourists into space. That said, there appear to be some serious players in this nascent market, the most prominent of which, aside from Virgin Galactic, are Blue Origin, led by Amazon CEO Jeff Bezos, and SpaceX, run by Elon Musk. Bezos recently said the company will sell suborbital spaceflight tickets next year, while Musk recently announced a plan to send space tourists around the Moon and back. The SpaceShipTwo spaceplane can carry six passengers and two pilots, with each ticket costing $250,000. Branson told CNBC that he doesn’t expect the price to drop any time soon, saying he’d like to see it level out to around $40,000 to $50,000 over the next 10 years. Even so, these prices put space tourism, at least during its first generation, out of reach for the vast majority of people on Earth. Despite the $250,000 price tag, however, some 800 people have bought Virgin Galactic tickets since they went on sale nearly 15 years ago. Branson’s comments, it needs to be said, should be taken with a grain of salt. He’s as much a showman as he is an entrepreneur, and these are all very enticing promotional soundbites. We’ll believe it once we see it; we’ve heard these sorts of predictions—and gone through a seemingly never-ending stream of failed timelines—many times before. Indeed, it hasn’t been a smooth path for Virgin Galactic. In 2014, the VSS Enterprise, an earlier version of SpaceShipTwo, crashed, killing the pilot and badly injuring the co-pilot, who survived by deploying his parachute. 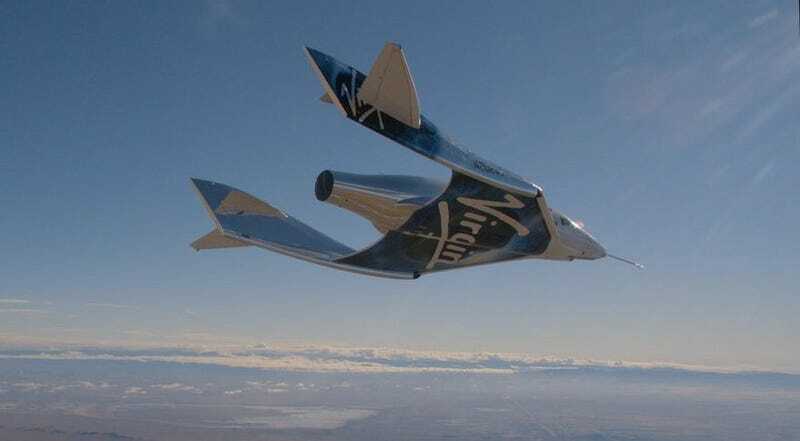 The company pushed through despite this major setback, with Branson now saying the company is just a few weeks away from conducting its first suborbital test flight. This yet-to-be scheduled launch is 14 years in the making. We’ll most certainly be watching.